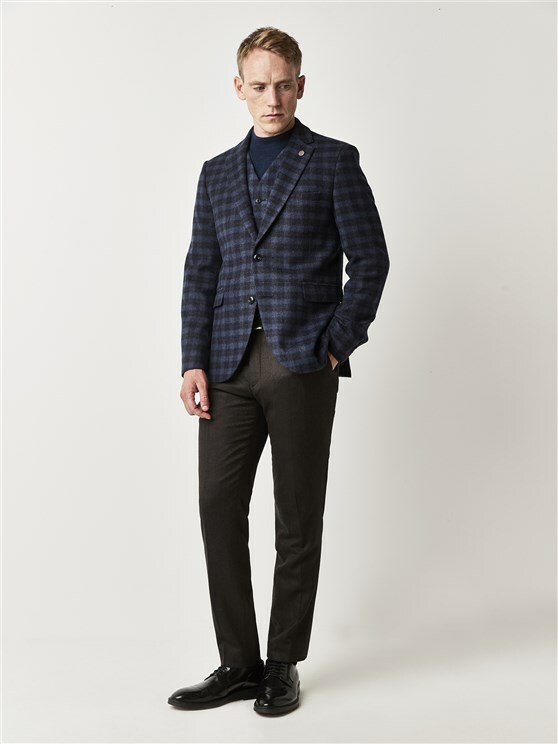 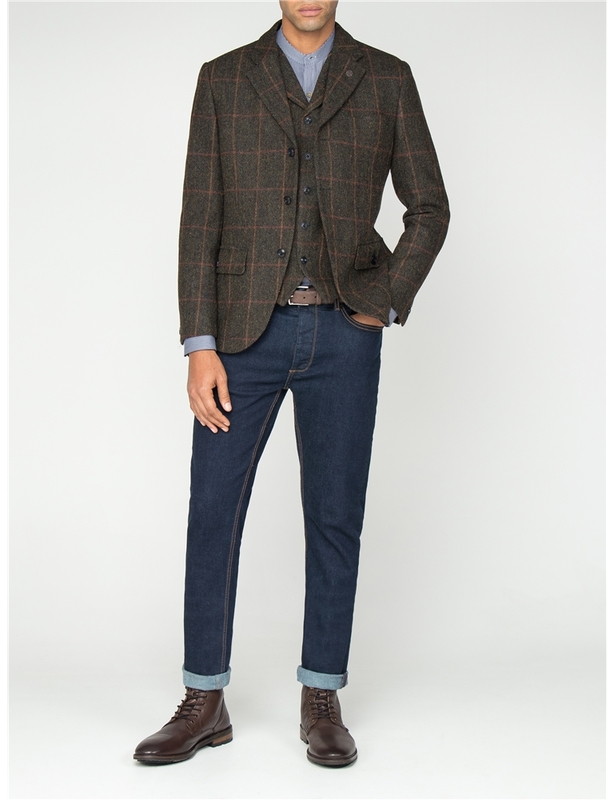 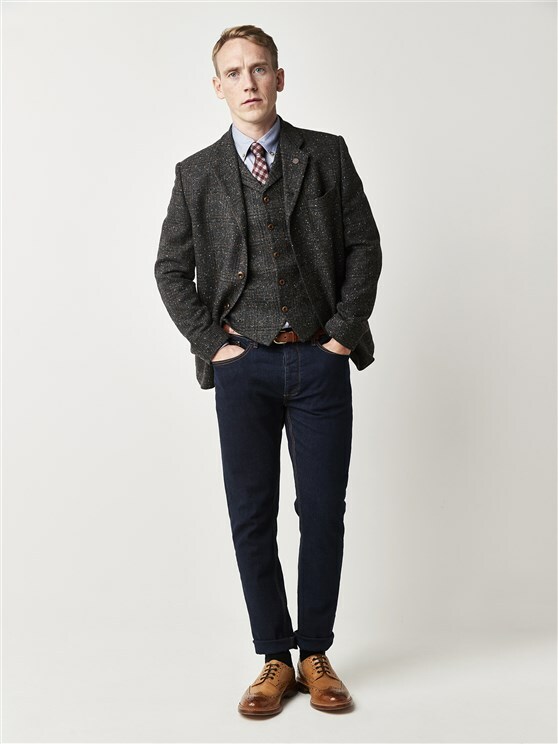 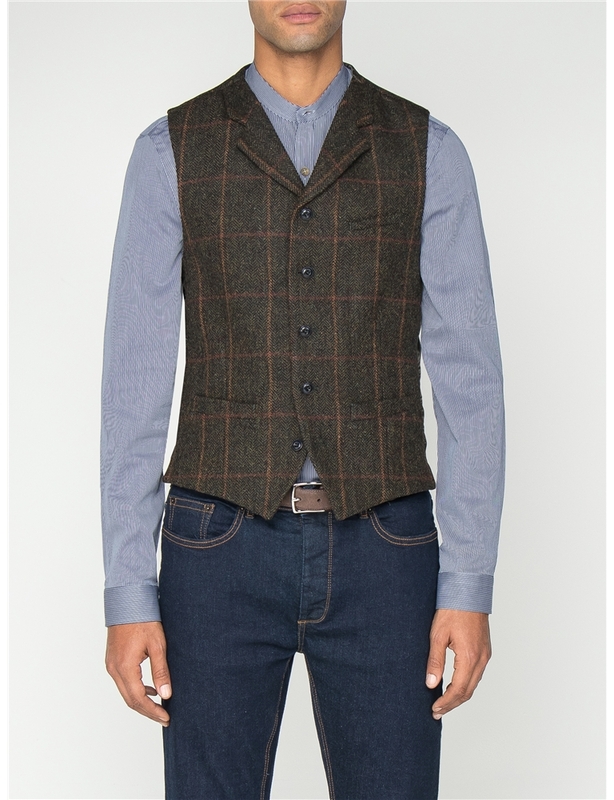 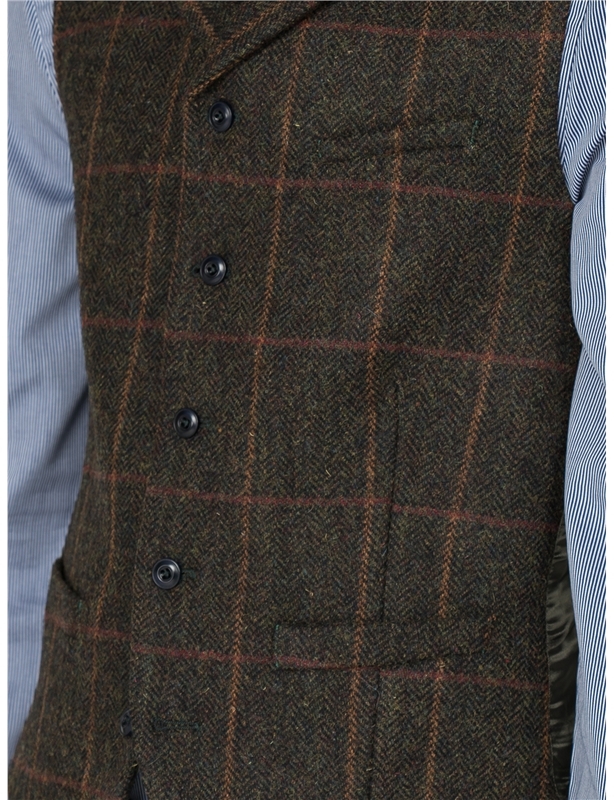 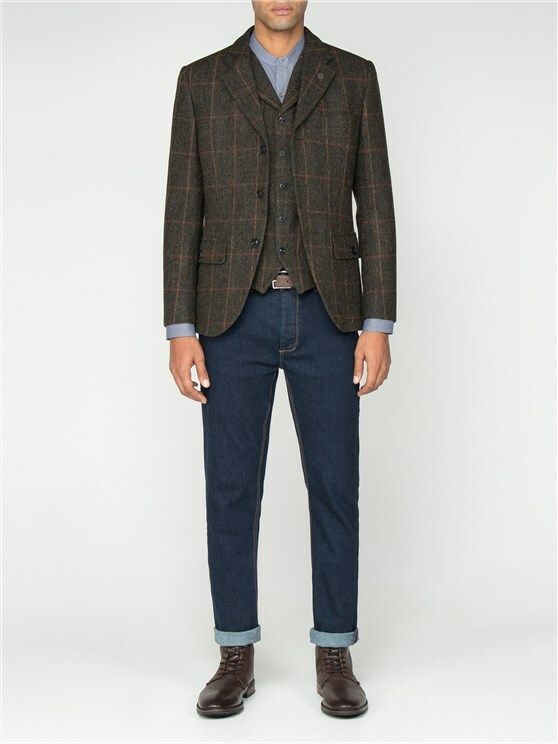 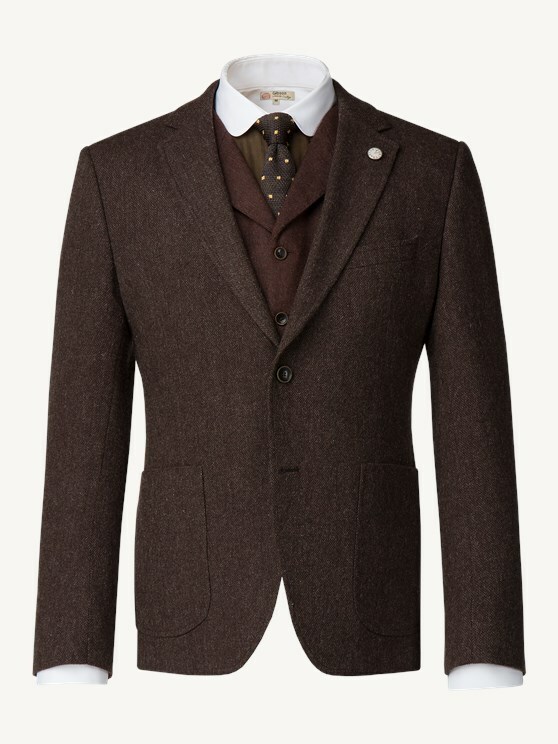 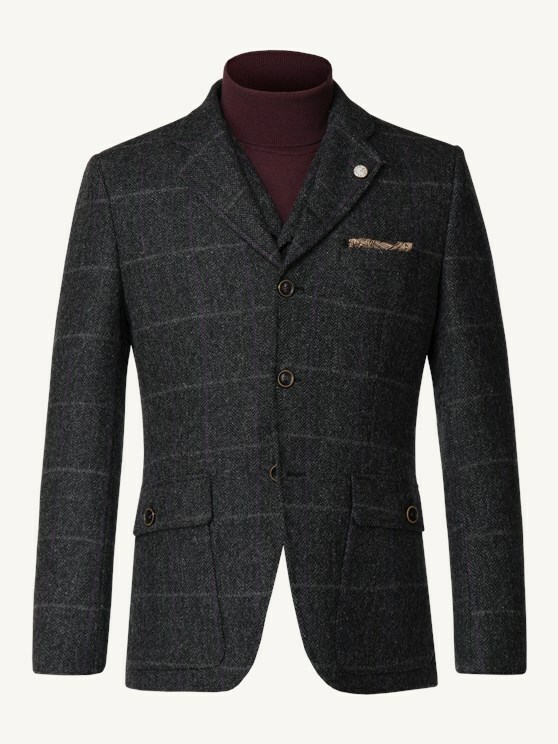 With a highland influence check and a naturally streetwise, dark colour scheme, this men's tweed jacket creates an instant statement for him - whether worn every day or for special occasions, this suit carves an impressive character and a stylish impression. 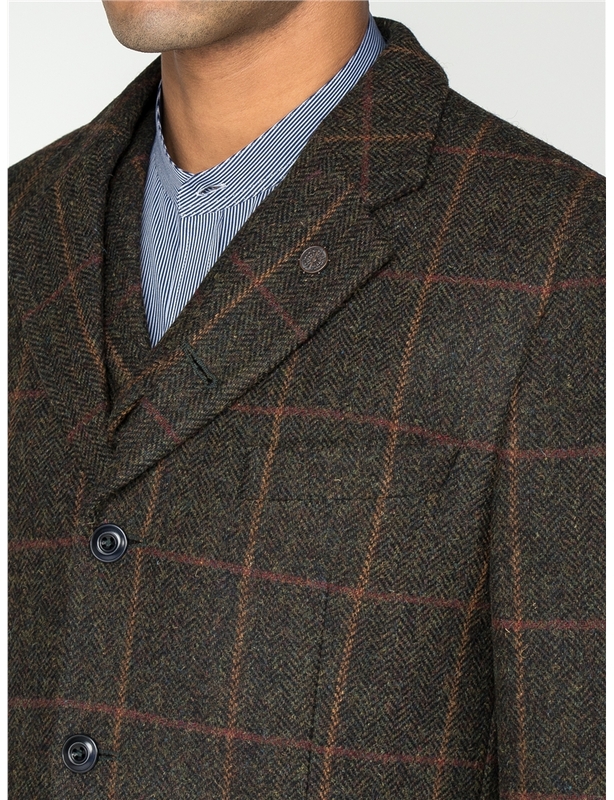 In a deep green, with a brushed check pattern, this comfortable men's formal blazer boasts pure wool fabric, a pull out pocket square and generous patch pockets - a practical addition to any suit with true character for the discerning gentleman. 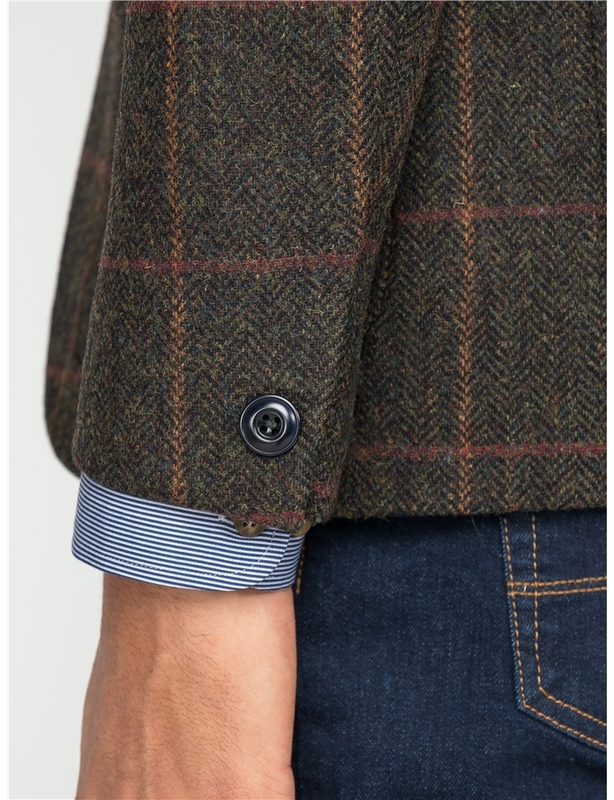 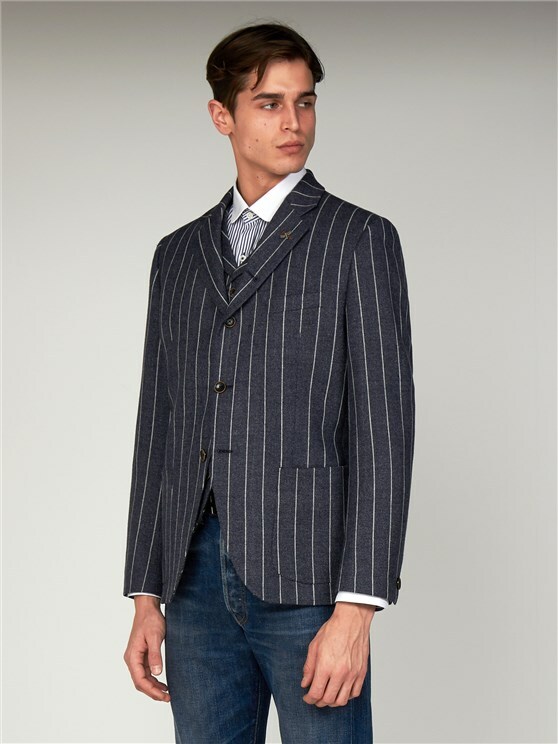 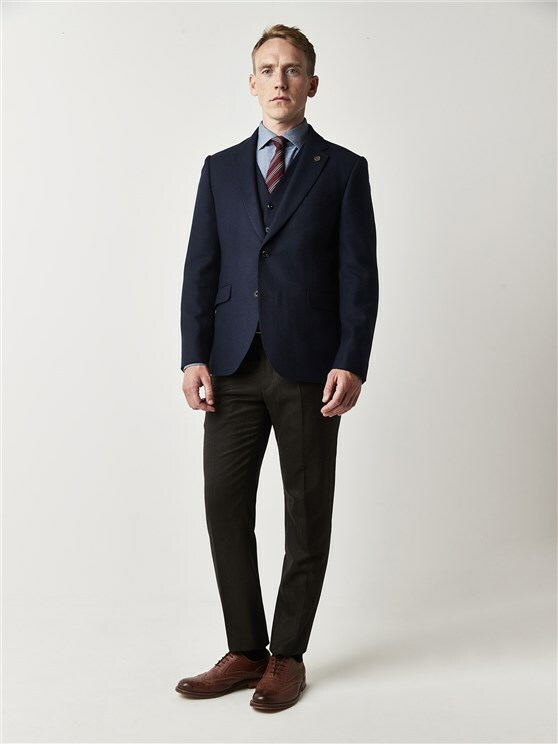 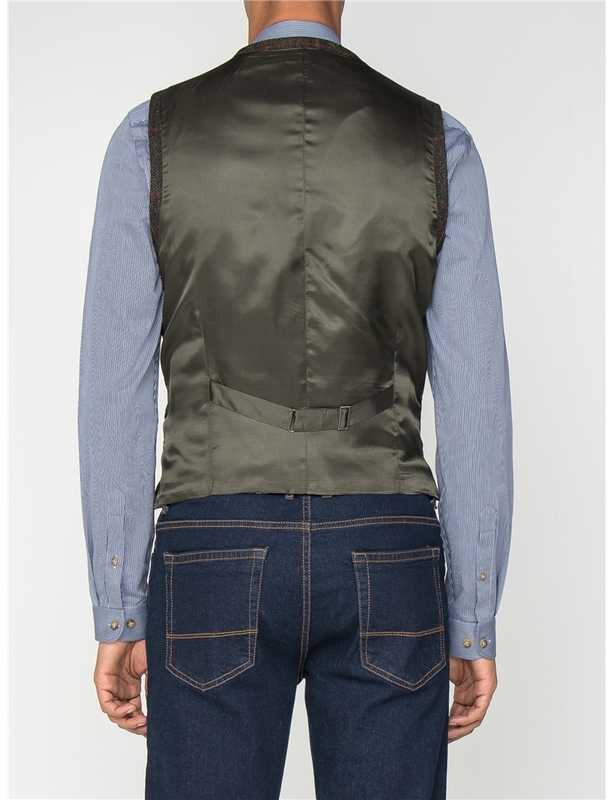 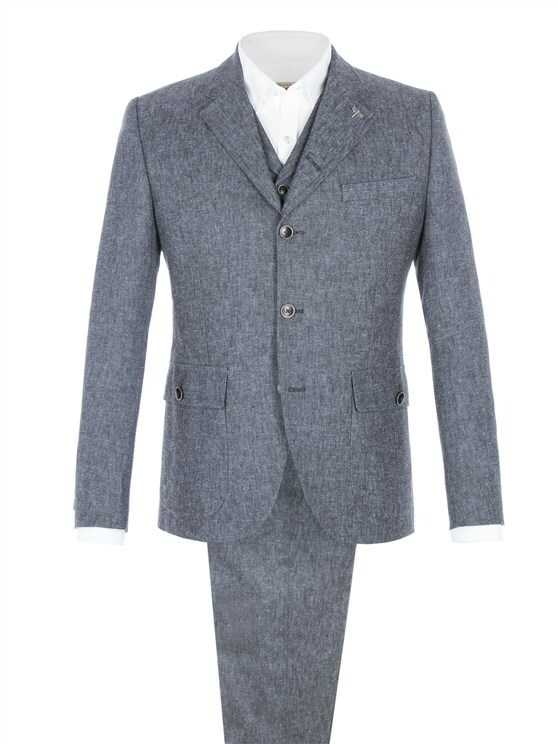 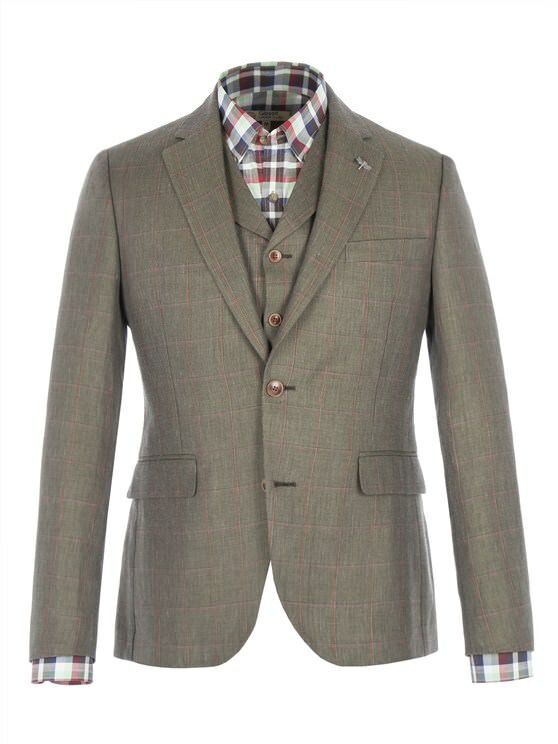 A more contemporary fit, with a short body, the Hampstead's Grouse style Blazer has wider shoulders at the back for extra comfort with a generous waist and tapered sleeves.